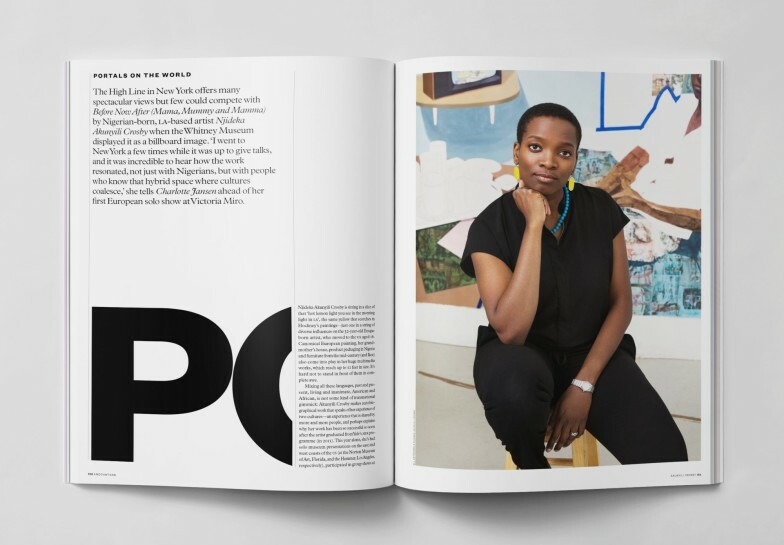 Njideka Akunyili Crosby: Portals on the World by Charlotte Jansen. The High Line in New York offers many spectacular views but few could compete with Before Now After (Mama, Mummy and Mamma) by Nigerian-born, LA-based artist Njideka Akunyili Crosby when the Whitney Museum displayed it as a billboard image. 'I went to New York a few times while it was up to give talks, and it was incredible to hear how the work resonated, not just with Nigerians, but with people who know that hybrid space where cultures coalesce,' she tells Charlotte Jansen ahead of her first European solo show at Victoria Miro.